About Us | Garment Storage Bags - Foster-Stephens, Inc. Welcome to the Foster-Stephens' website! Elmer "Bill" Jones started this business nearly 80 years ago, and it has remained in the family ever since. Three generations of Joneses have worked at Foster-Stephens through the years and we are committed to keeping the company strong many more generations. Foster-Stephens makes archival textile storage bags and boxes for family heirlooms; such as wedding gowns, Christening outfits, sports or military uniforms and even movie costumes. We serve a diverse clientele including dry cleaners, museums, designers, military personnel, costume archivists, movie studios, and of course, families & individuals interested in preserving their heritage. "I was very satisfied with my purchase. It arrived promptly, was well packaged, and exactly what I wanted to store my daughter's wedding gown." 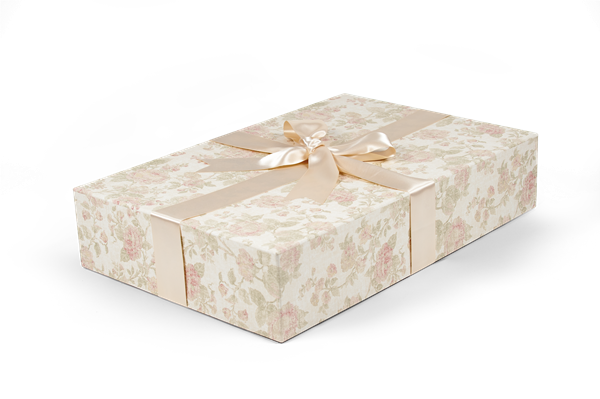 Our keepsake boxes and garment storage bags have stored everything from wedding dresses to military uniforms to family keepsake quilts. Because we make our products out of archival grade materials, our boxes and bags are safe for all kinds of textiles. If you wish to buy custom designed bags, don't hesitate to contact us today by phone or email. We ship internationally from our distribution center in Elk Grove Village, IL. Within the continental US we offer Free Exchanges on all our Museum Style Preservation Boxes. And we have a flat shipping fee of $4.95 on all our products. Please see our Returns and Exchanges page for more details. Quality and Service are our trademarks. If you have questions not answered by our FAQ, or other comments or suggestions please call or email us. We can embroider or monogram all our muslin products, with three lines of embroidery. The lines can have 24 characters each. Available colors are: Black, Metallic Gold, Metallic Silver, Antique Gold, Antique Silver, Royal Blue, Navy Blue, Light Blue, Light Pink, Dark Pink, Burgundy, Dark Red, Emerald Green, Teal, Dark Olive, Light Olive, Purple, Lilac, Coral, Apricot, and Neutral (tone on tone). Personalization will take 10 business days (usually less) before shipping.